...Photographic Ramblings...: Nautical Cyanotype ~ Exploration Thursday! Well, I did say today would be one of the images similar to yesterday's post but after having experimented with Corel's Cyanotype conversion from the Time Machine Fx filters. Voila! 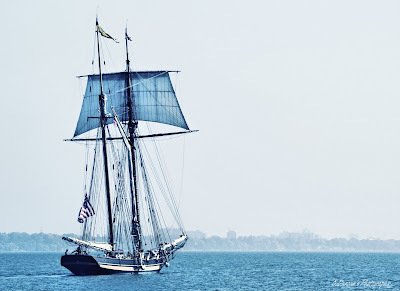 Anything of a nautical theme looks well in this old 1800's processing look. I think I associate it with many of the old dutch paintings on pottery and dishes that I used to see in everyone's homes when I was growing up... it was trendy at the time. Trust me. What I love are how delicate lines pop within the prussian blue hues of a cyanotype printing. Very much like a blue print. I knew after editing my images that I had to use this filter in post processing. And not with a heavy hand mind you. But just enough that you stop and look carefully to notice the hint of color still lying underneath, (the original layer before converting) adding some depth and keeping it from being too stark which tends to be popular in the digital darkroom these days. I don't see this effect being utilized like I did back in my darkroom days, and much earlier than that obviously... and it's a beautiful way to age an image without it looking hokey. It doesn't suit every subject matter so consider if it suits before you use it. It's very nostalgic and fun to work with, adding something different to your scenes. Give it a try in whatever processing program you run. And thanks for the ramble. that's a really lovely photo - your cyanotype conversion works really well (the original is a super shot too). 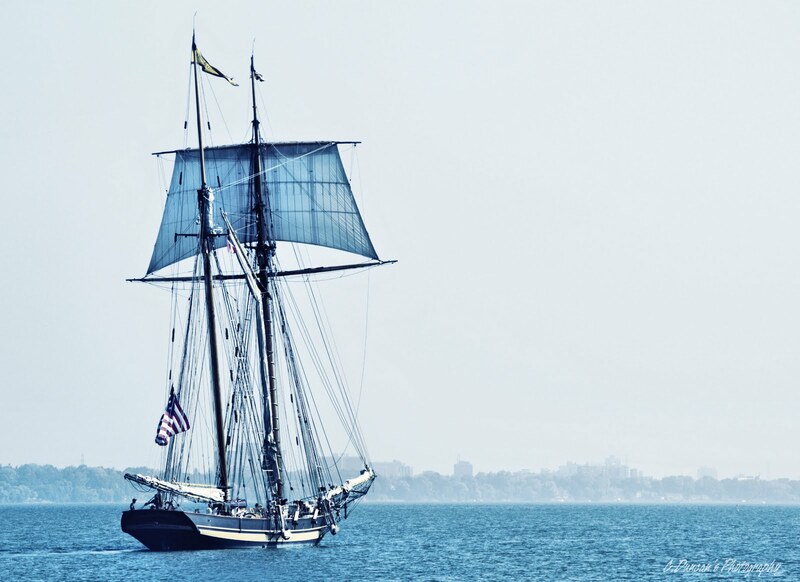 What an elegant boat - and I think the image is more impressive without her being in full sail. I was hoping to see the tall ships in Liverpool this week but could only get there for the last evening of the festival when they'd all gone. Did see one magnificent lady bidding farewell to the city though - although I don't think she's a candidate for the dutch pottery treatment! Hi Alan! So good to hear from you! Thanks so much for the comments, always appreciate it! I think a link to your blog site will need to be added to my page, love looking at all the sights you captured! The first shot of the Cunard Building in that post you linked... I love it. Wishing you much success in finding a home gallery for your series!